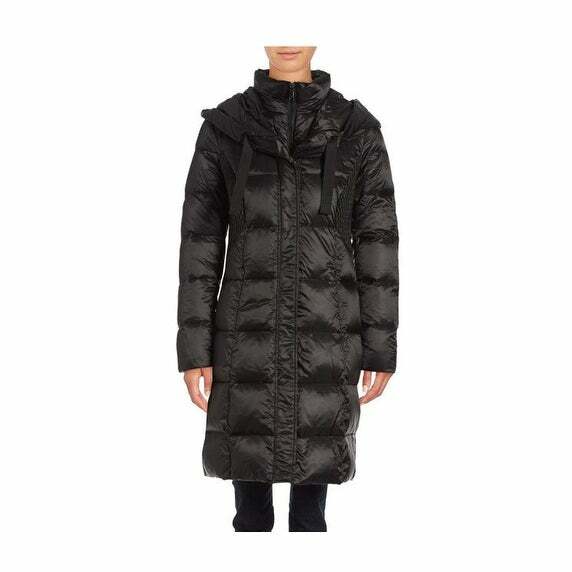 T Tahari Women's Cassandra Black Down Puffer Coat. This coat is hooded. Quilted. It is a 3/4 length. It has a front zip closure. Down filled. Machine Wash.